This mini stallion, Saber, and his Great Dane friends are part of a huge pet family in California, where they roam from house to yard freely and play together in apparent harmony. 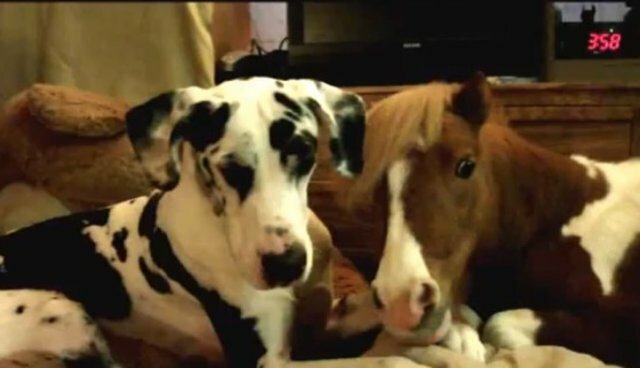 Here, we see the mini horse hanging out in bed, sharing breakfast with one of the dogs, enjoying a lazy morning lounging around. According to their owner's YouTube page, the animals seem to enjoy cuddling together quite a lot; here's another video of the whole gang hanging out.